All the new Apple iPhone owners and even the ones that always go for Apple iPhones ask the following question A LOT… how to delete multiple apps on iPhone X/8/7/6/5 (iOS 12 supported)? We all hate having too much unused Apps on device, especially the Apps that maybe we have used them only once or twice and quickly got bored with them. These apps always take space in your phone’s storage and a full memory storage can either make your phone get stuck too often or even get slow. If you look at your iPhone screen right now, you will find a game or two, or maybe one of those utility or entertainment apps that you don’t use anymore and are most probably not going to use in the future either… well, what are you waiting for? Get rid of them!! Now, again going back to the question, how to delete apps from iPhone 8? Well, there are a couple of ways you can do this task and they are pretty simple. 1. It is the easiest and quickest way to delete an app from your iPhone X/8/7/6/5. All you need to do is go to the Home screen. 2. Tap and hold any app icon, all the icons will start to wiggle on the screen with a little “x” on top of them (except the stock ones). 3. Then you can simply select the app you want to delete and tap on that little “x” shown at the top of that icon. You’ll see a dialogue box with two options, “delete” and “cancel”. Tap on the delete option and there, app gone! One another simple method for deleting an app from iPhone X is to go to “Settings”. Scroll down a bit and tap on the “General” option. Tap on “Usage” (older version of iOS) or tap on the “Storage & iCloud Usage” (newer version of iOS). You need to tap on “Manage Storage” and you’ll see a list of all app installed on your iPhone. Simply select the app and tap on “Delete” to delete that app. You need to have iTunes installed on your PC for this method. 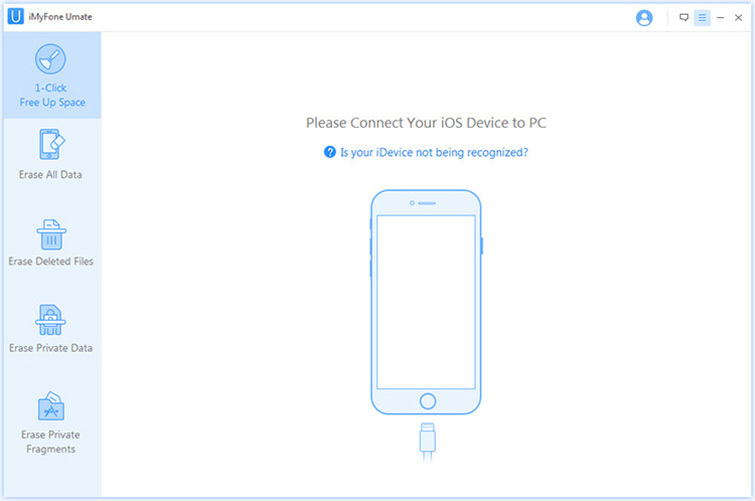 The method is simple; you need to connect your iPhone with your PC. Click on Apps library. You’ll see a list of all your apps on your phone and in your iTunes library. Simple choose and right click on them to delete those apps. It is quite common for iPhone users to run out of storage space.iMyFone Umate Pro or iMyFone Umate Pro for Mac offers us a perfect solution, giving users the power to effectively manage what stays on their phones. It’s intuitive, powerful and fast. iMyFone Umate will list all your apps according to the space they occupy. You can selectively uninstall the apps by one click to release space. Run this tool and connect your iOS device via a cable. Click on scan button to scan and analyze data smartly. After scanning, it is clear that you do have huge space to save. Click "Clean" on home interface, iMyFone Umate will list all your apps according to the space they occupy. And then you can select those unused apps to remove. Conclusion: Now you know the answer to those little yet annoying questions like, “how do I delete apps from my iPhone X?”? In comparison, we can clearly see that the wiggle method is quite simple. 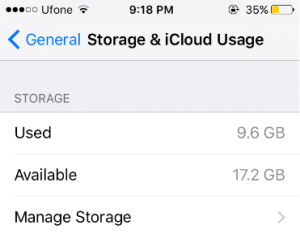 The “Settings” method allows you to manage your storage, see the list of apps on your iPhone, get the whole picture of memory on your iPhone and then select the apps you want to delete from your phone. The second method is better if you want to completely delete the app from your device and your iTunes library as well. 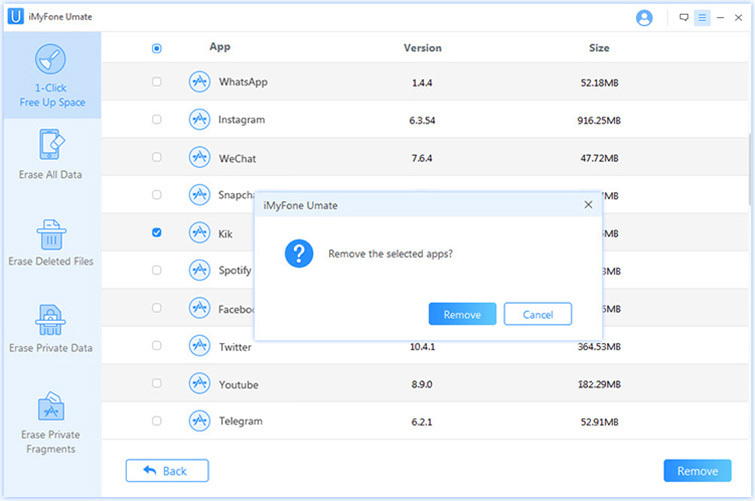 Now, the last method, using the iMyFone Umate, it is one of the best and convenient ways to clear your phone’s storage. Just one click! 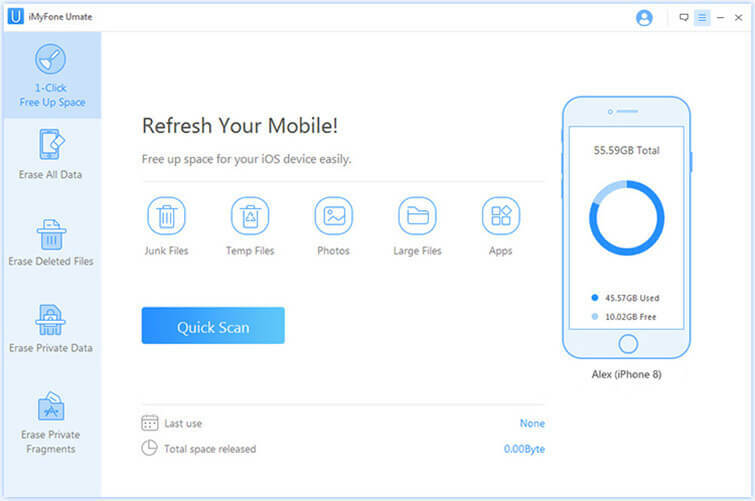 The best thing about iMyFone Umate is that it is easy to use and it smartly scans your phone’s data and clears memory from those junk, temporary, large files and gets rid of the apps for you.